Who Are You Dating? – Do Something! Home marryher Who Are You Dating? Luke 1 holds one very important lesson. Why do you think God chose Mary? Because she was a virgin? Yes, but No! It was because as in verses 26 – 27, ‘And in the sixth month the angel Gabriel was sent from God unto a city of Galilee,…, to a virgin ESPOUSED TO A MAN whose name was JOSEPH, of the house of DAVID; and the virgin’s name was Mary.’ Gbam! That’s it. Ask yourself, Who was the promise made to? David. Rev 22:16, ‘I am the Root and the Offspring of David.’ See that? Jesus declaring. So because of Joseph – who is of the lineage of David – God chose Mary! The power of association. You can be a candidate of favor because of whom you’re with. Mary was favored of God vs, 28 says, ‘[Mary,] thou art highly favored.’ Good news! Because you are part of the FRESH family, you are Favored! Wow! Did you see that coming? F- Favored R-Redeemed E-Elevated & S-Spiritually H-Healthy. See http://thelafamily.org/vocabs I’m favored! Are you? Marry her: The Woman In Your Head!
. @DrJoeAbah’sTips for a Successful Marriage. Struggling to find peace in your home? Read Dr Joe Abah's tips for a succesful marriage. Exclusively for men! 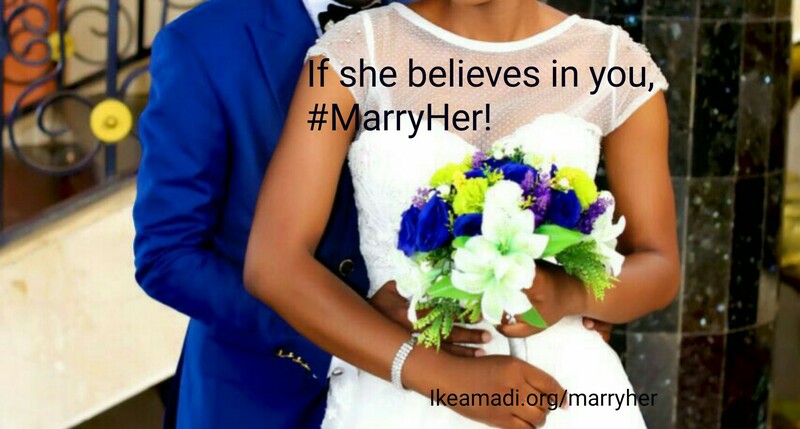 #SomethingFresh: Ike, Choose A wife now, or else…. its not just a matter of I have a man/woman but who that man or woman is matters a lot. How To Be Sure He’ll Ask Again. Marriage Seminar: God Has More Children Other Than There!